Artist Dale Chihuly has returned to New York City with his first show in ten years: a grand exhibition in the New York Botanical Garden (NYBG). 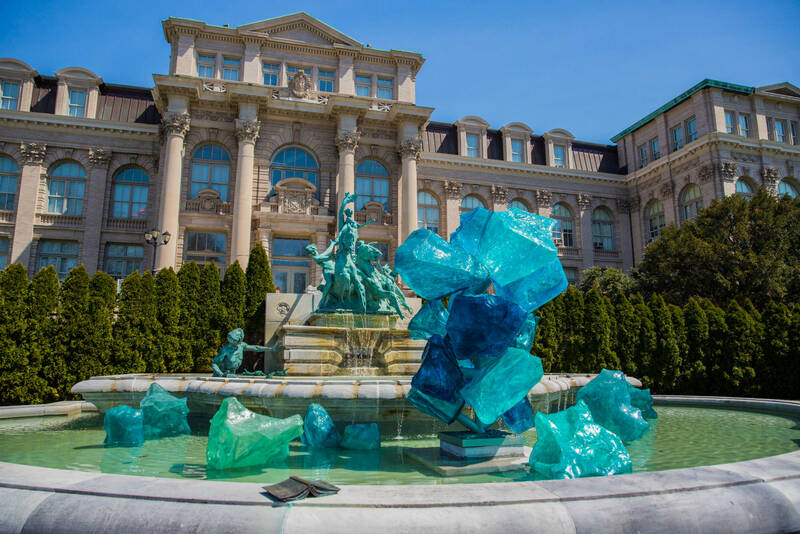 The showcase, titled CHIHULY, includes glasswork sculptures that will be radiating throughout the gardens all summer long, by day and night. With site-specific installations, CHIHULY aims to interact with the landscape of the gardens to build a dialogue between movement, color, and light. During “CHIHULY Nights” the sculptures come alive with light amongst a program of special activities and events. Adults and children are welcomed to experience evening celebrations, with art programs, films, poetry events, and concerts that all take place once the sun goes down. 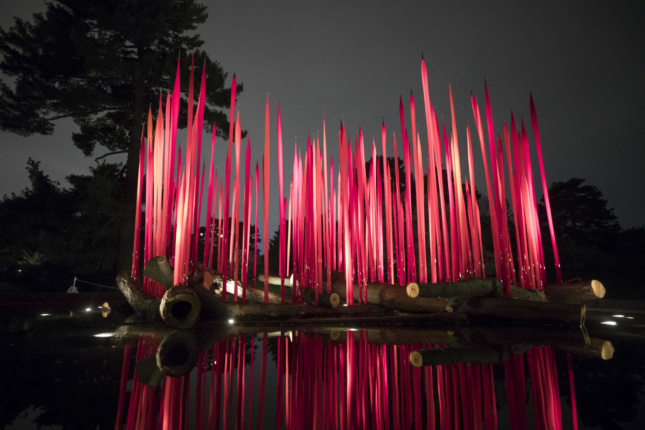 Tickets for “CHIHULY Nights” are available to be purchased here. The exhibition, which runs until October 29, 2017, features over 20 installations and early works by Chihuly. The entire exhibit allows viewers to see the evolution in Chihuly’s work, as well as the development processes of specific artworks. Some of the installations are reconfigurations of well-known Chihuly pieces such as Chihuly’s Tower and Chandelier, but older works and personal drawings of the artist will also be on display at the LuEsther T. Mertz Library Building. The exhibit also allows a unique interactive experience through a virtual tour. Guests can access the tour on their smartphones and engage with the installations based on their specific locations—the tour’s digital map includes additional information on the artwork and the artist’s process in conceiving it, as well as a social platform to post photographs captured by visitors. For more information, visit the NYBG website.